Submitted by lmcshane on Thu, 05/16/2013 - 08:51. Remember the CREG Center Project? The City has resubmitted a permit application to the EPA. There will be another public hearing! The public hearing will be June 12th, 6:00 p.m. at the Estabrook Recreation Center, 4125 Fulton Road. Please forward to your networks! Submitted by lmcshane on Thu, 05/16/2013 - 09:27. In the Plain Dealer, May 12, 2013 the attached notice regarding a public hearing on Issuance of Draft Air Pollution Permit to Install and Operate at Ridge Road. All of the details, with contact information, are in the notice regarding how to submit comments. Incinerator: tons of trash = tons of money for somebody. Who? Submitted by Jeff Buster on Thu, 05/16/2013 - 10:16. The City of Cleveland Air Quality Department will be the folks who "inspect" for permit compliance. What's that about the fox minding the hen house? Down wind neighbors - get ready to absorb the following poisons: See page 32 of the draft permit pdf linked above. Mercury – Method 29 of 40 CFR Part 60, Appendix A and ASTM D6784 or U.S.
Who is making bank from adding truckloads to this primitive incinerator? The City of Cleveland? Is the trash all from City of Cleveland? or is additional trash intended to be brought in from outside the City? Who is/are the hauler(s)? Who is selling the new equipment for units B1, B2, B3? China? Find the link to the money. Submitted by lmcshane on Mon, 05/20/2013 - 06:57. Ken Silliman, chief of staff for Mayor Frank Jackson, said that the city most likely will turn its attention toward more affordable alternatives to sending trash to landfills. But a settlement agreement forged with Tien after he was fired states that the city still must pay him $450,000 if the air emissions permit is granted for the gasification facility. He already had received $300,000 for the work he did on the application, Silliman said. Tien also will get paid if the city withdraws the application to pursue other options, city officials said. Submitted by lmcshane on Wed, 06/12/2013 - 09:02. 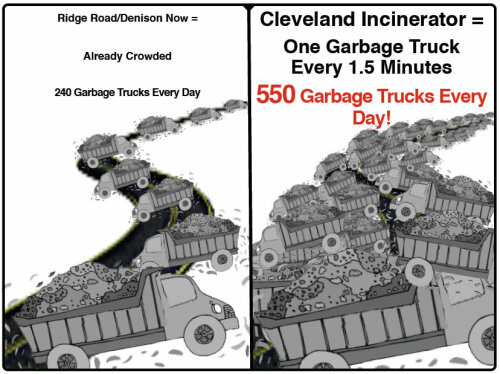 This CLE administration continues to beat residents down with greenwash and propoganda - when is enough ENOUGH? ! 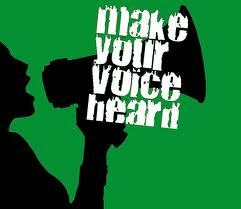 Be HEARD tonight: Say NO!